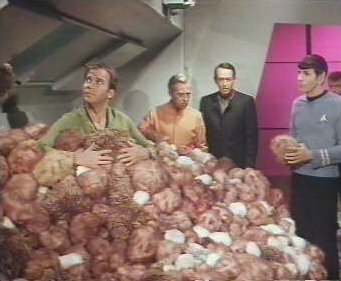 The TRIBBLES are harmless and nice small spherical and hairy animals that have the only fault of multiply vey quickly if they are able to find the necessary food. 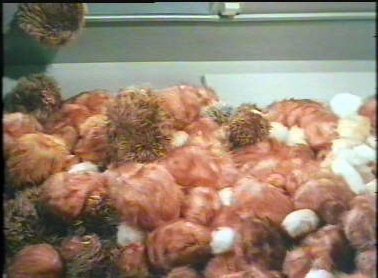 The reproduction of the Tribbles happens for splitting, equally in which they multiply the cells of the human body. The TRIBBLES is notorious to be "sweetter animals of the whole universe," but also to be most useless! The Tribbles have no mouths, but they aro neverless voracoius, expecially of a particular kind of grain called "quadrotriticale". A little YATI - It will take 17.9 years to dispose of all the tribbles on the base (but it took practically no time to get all the fuzzballs off the ship).